Help us fight back and win in 2020! Will you make a contribution now to lay the groundwork for Democratic victories in 2020? 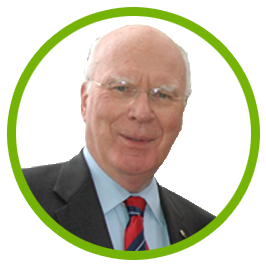 Vermont’s tireless and best-placed advocate in the Nation’s Capital, Patrick Leahy is the most senior member of the U.S. Senate -- where seniority counts -- giving Vermonters not only a voice but a front-row seat at the table when key decisions are made. The son of a printer and the grandson of stone cutters, born in Montpelier, raised across the street from the State House, and schooled in Montpelier and Colchester, Patrick Leahy has spent most of his adult life working for Vermonters. In 1974 he became the first Democrat who Vermonters ever elected to the United States Senate, where he is now the Senate’s longest serving member. He serves as the Vice Chair of the Senate Appropriations Committee and is also the senior-most member of both the Senate Judiciary Committee and the Senate Agriculture Committee. "I am working hard to ensure Green Mountain PAC can support Democratic Senate candidates in 2020. Together, we will stand against the Trump Administration and fight for all Americans." Fight back and win in 2020! We can win in 2020, but only if we come together to support progressive Democrats. Take action by supporting our Green Mountain PAC candidates today.